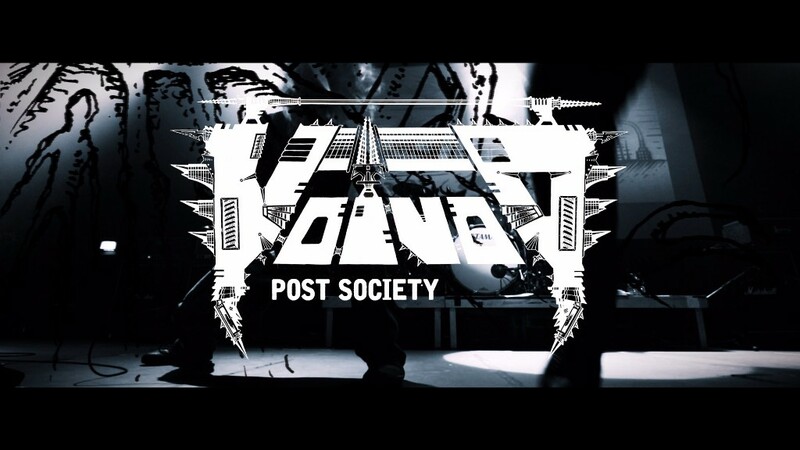 2016.12.22 – VOIVOD launch video clip for “Post Society”! 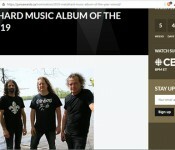 After completing a comprehensive European tour together with Century Media Records label-mates Entombed A.D., Canadian progressive sci-fi metal innovators VOIVOD are wrapping up a busy year of promoting their latest Mini-CD release entitled “Post Society – EP” and are now launching a promotional video clip for its title track. “This video is the best ending of a very productive and crazy year! It started in February-March with a North American East Coast tour with Vektor, Eight Bells and Black Fast. Then the West Coast and across Canada in May-June with Child Bite and King Parrot. We were joined by Jason Newsted in San Francisco for a two basses rendition of the song ‘Voivod’. 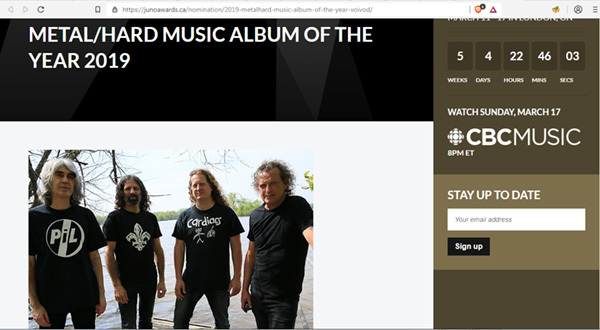 Shortly after getting back home we drove down to Montebello, QC, to perform at the ever-growing Amnesia Rockfest, where I watched a very tight and energetic show by our friends D.R.I. In July we flew to the Hell and Heaven Fest in Mexico City, where we shared the stage with Sepultura and witnessed an intense performance by Suicidal Tendencies with Dave Lombardo on drums! My highlight was watching Twisted Sister in the middle of tens of thousands of people singing ‘We’re Not Gonna Take It’. We also visited the pyramids of Teotihuacan. In August it was time to go to Europe for a few festivals and club shows. We got a great crowd reaction at Into The Grave Festival in The Netherlands, where we ran into our old pals Carcass. In October we flew to St. John’s in the Canadian Maritimes to play our first show ever in Newfoundland. The next day we played the Halifax Pop Explosion in Nova Scotia, came back home right on time to repack and flew to Europe again for a fun tour with Entombed A.D.! We made a stop at the Leafmeal Festival in Dortmund, Germany, where we shot the ‘Post Society’ video with Dirk Behlau / Beastwood Film Production. 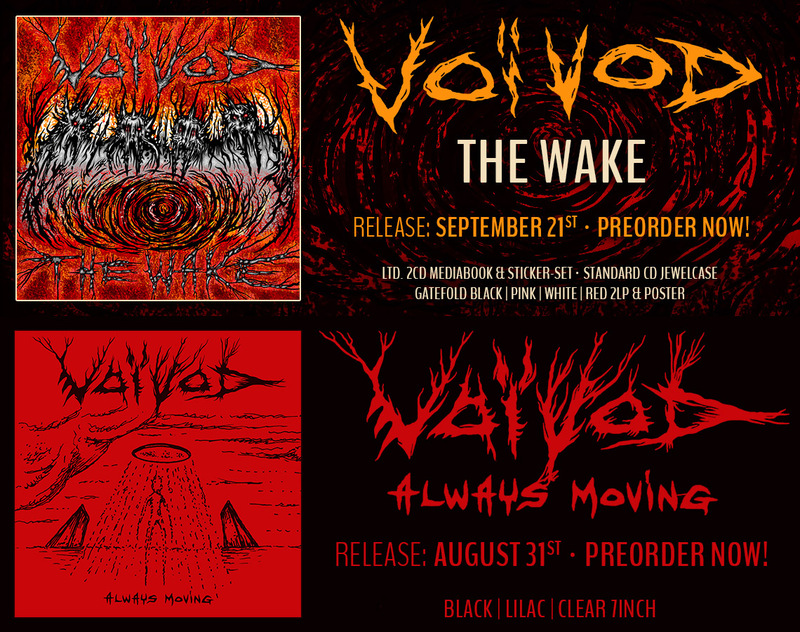 VOIVOD 2016 are Snake – Vocals, Chewy – Guitar, Rocky – Bass and Away – Drums.